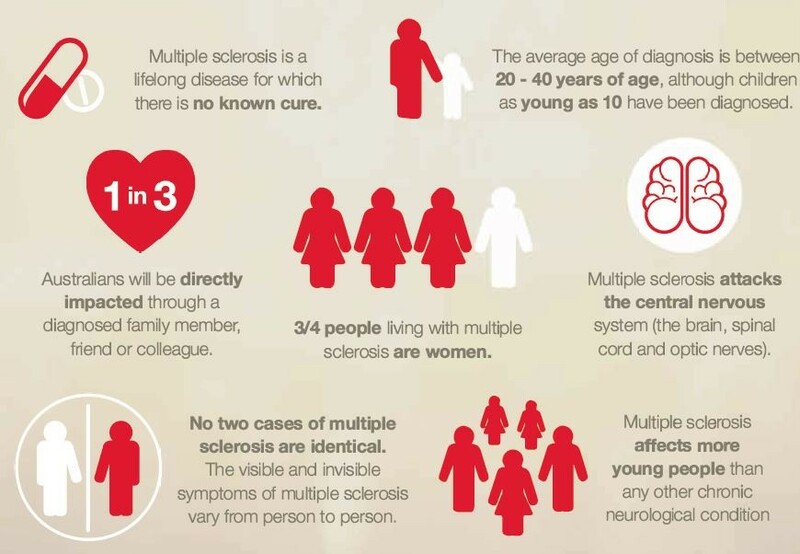 Multiple sclerosis is a chronic and often debilitating disease which attacks the central nervous system (the brain, spinal cord and optic nerves). It is the most common neurological disease in young adults and attacks people at the time of their lives when they are planning families and building a career. Unfortunately, there is no cure for multiple sclerosis…yet. There are constantly new discoveries in research helping to inch further to a cure, and advancement in treatments of this lifelong disease. As well as helping to provide support to people living with multiple sclerosis now, we also provide funding for research so we can find a cure for this debilitating disease. Make your ride count so no-one has to face MS alone. Download MS Information Flyer or check out ms.org.au to find out more about multiple sclerosis.